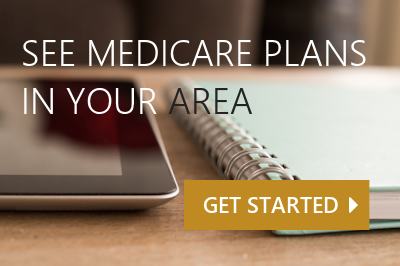 Finding the right Medicare plan can be very confusing. I am contracted with a variety of carriers, so I can explain your options and help you find a plan that meets your personal needs. All of my services are offered at NO COST to you. You’ll never pay a broker fee or pay more for coverage with me. The rates are the same whether you buy the plan directly or through me. I provide personalized consultation for a variety of Medicare enrollment situations such as, turning 65, moving in to the state/county, have delayed Part B and will lose employer coverage soon, enrollment information if you are Medicare and Medi-Cal eligible, and many more. I’ll explain Original Medicare, Medicare Advantage Plans, Medicare Supplement Insurance Plans, and Part D Prescription Drug Plans. I don’t follow a ‘one size fits all’ approach to health insurance plans. Each person has unique objectives, goals, and circumstances. I will take the time to ensure that you find a plan that works for you! Based on your input, I’ll present various options for you to consider and explain when you can enroll. I’ll explain the benefits, features and time frame for all your choices. You alone will decide on which plan is right for you; and there’s absolutely no obligation for you to enroll. As your agent, I am here to help! Feel free to contact me any time you have questions about your plan. So, let’s get started. Schedule a no-cost consultation with me or meet me at our Medicare event kiosks. I’ve received a lot of phone calls and mails from others selling something about Medicare. I called Esther and made an appointment. I sat down with her and she found the best plan for me. And If I don’t understand something, I could call her and Esther would return my call in a timely manner. I find her to be honest, trustworthy and dependable. She’s good at what she does. You may enroll online by clicking the link. Only for CA residents.